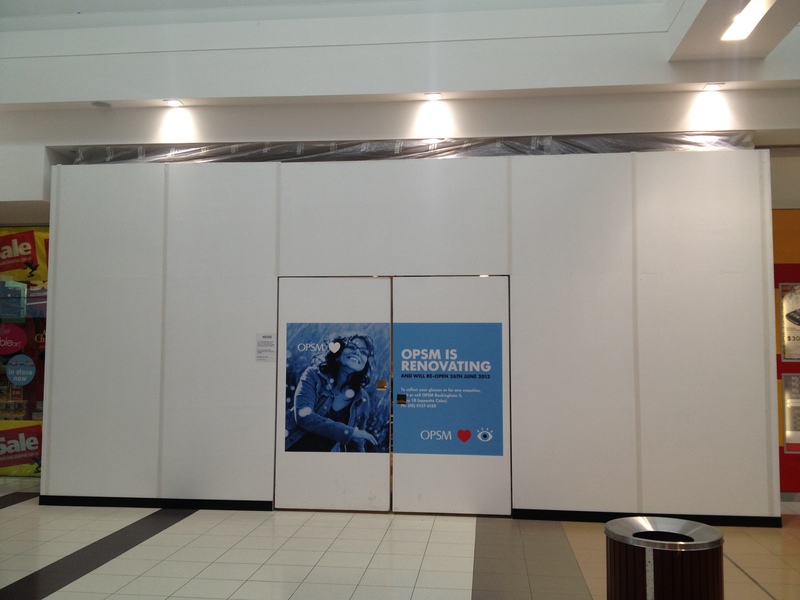 Safety hoardings are used in shopping centres and construction sites throughout Western Australia to contain construction work or protect a retail store. 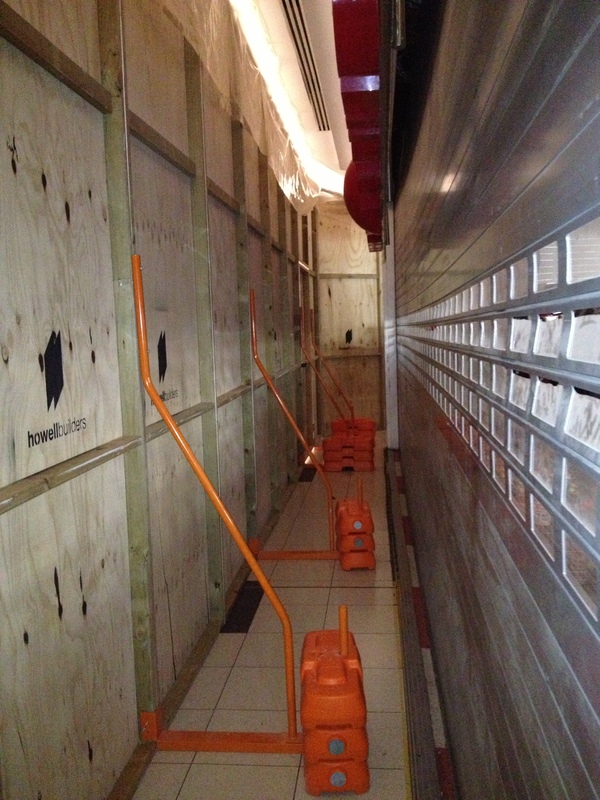 Hoardings provide security to a worksite, stopping building materials from spilling out and preventing the public from entering a dangerous, prohibited work site. We carry huge stock of hoardings in our warehouse, allowing us to provide you with an installation service with only 24hrs notice. That’s right, call us today, and we’ll install your hoardings tomorrow, or on the same day if possible. 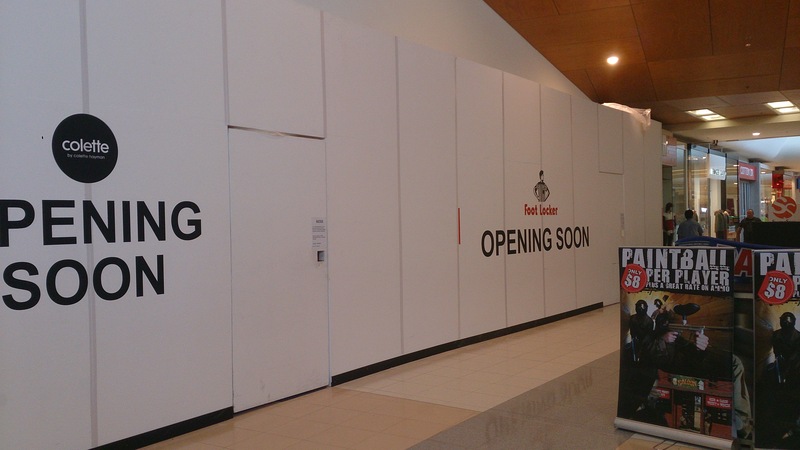 Hoardings are constructed from solid, new materials and painted white to make them look clean, fresh and more visible. However they also make a good canvas for advertising, murals and street art, making them interesting, aesthetically appealing and practical. 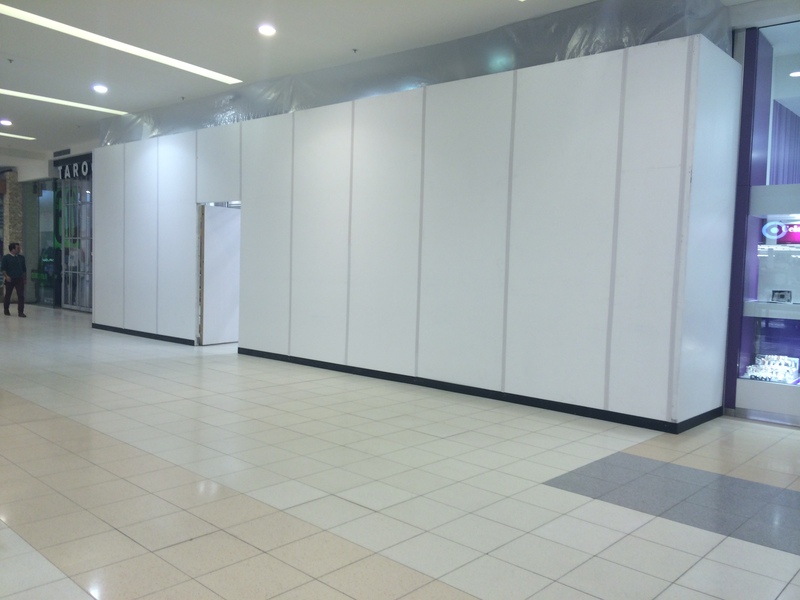 Howell Builders will deliver and install your hoardings, and then remove them when they are no longer required. 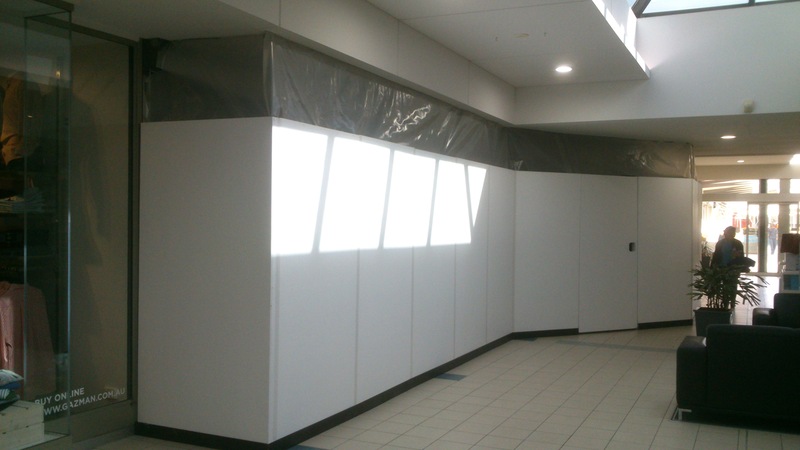 We have a hoarding system to suit all shops and worksites and will tailor a hoarding solution to suit your businesses’ specific needs if required. 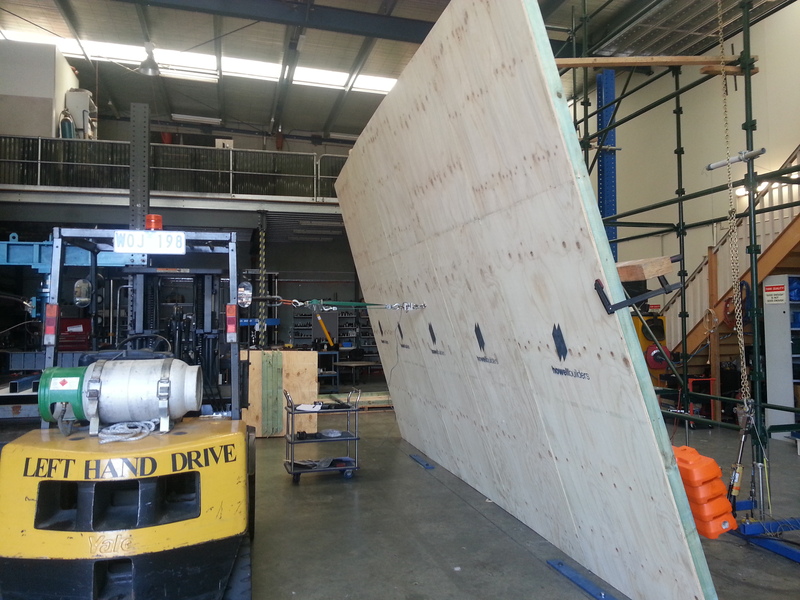 Our hoarding system has been vigorously tested in an accredited testing laboratory to meet the stringent requirements of the Australian Standard 4687 (AS 4687-2007) for temporary fencing and hoarding. 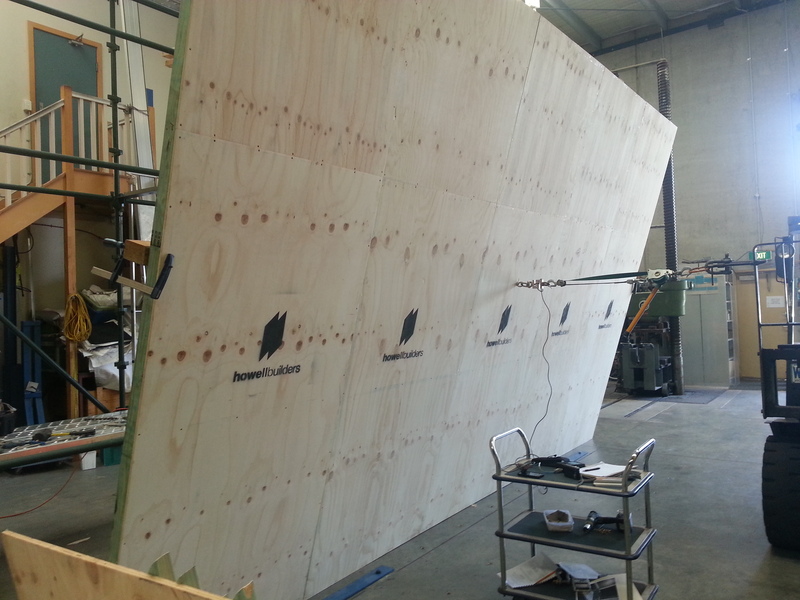 Our system passed with ease when tested for strength in windy environments, and also against toppling over when subject to an impact test. When you use our hoardings, you can rely on their strength and durability. 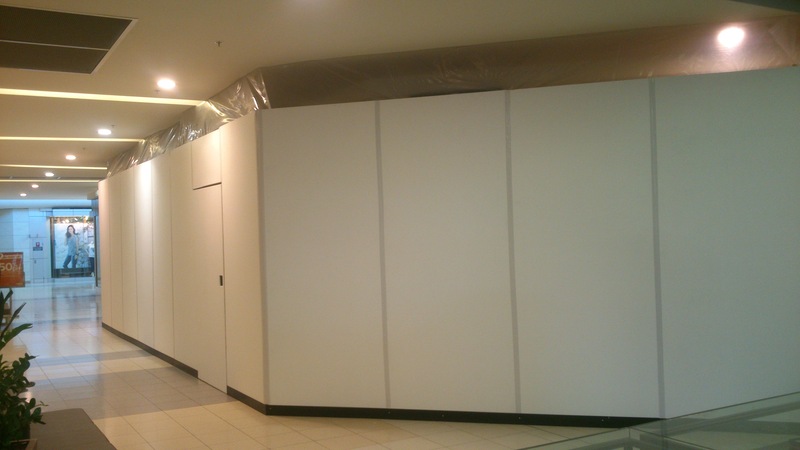 We make use of a freestanding hoarding system, and we use metal braces and plastic moulded concrete counter weights to avoid attaching the hoardings to your shop front or building façade. 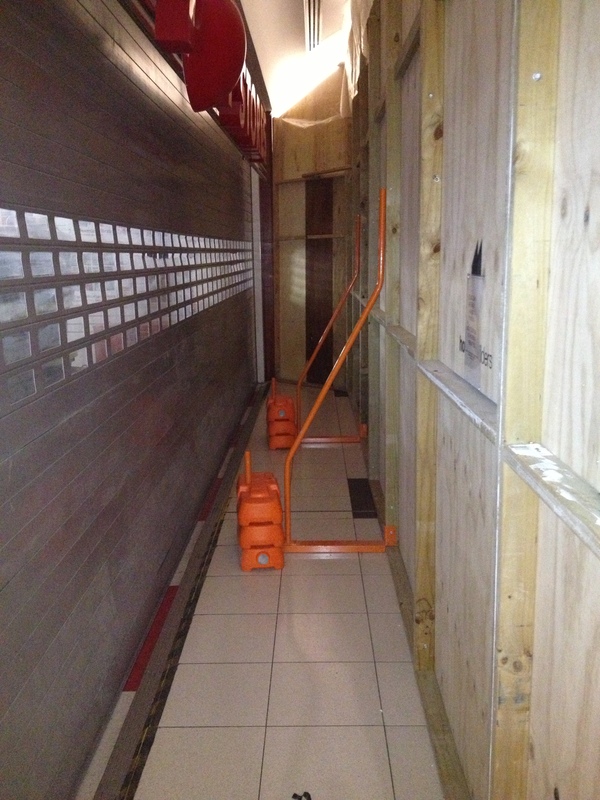 This alleviates the need for patching and repairing when the hoarding is removed. It’s convenient and mess free. 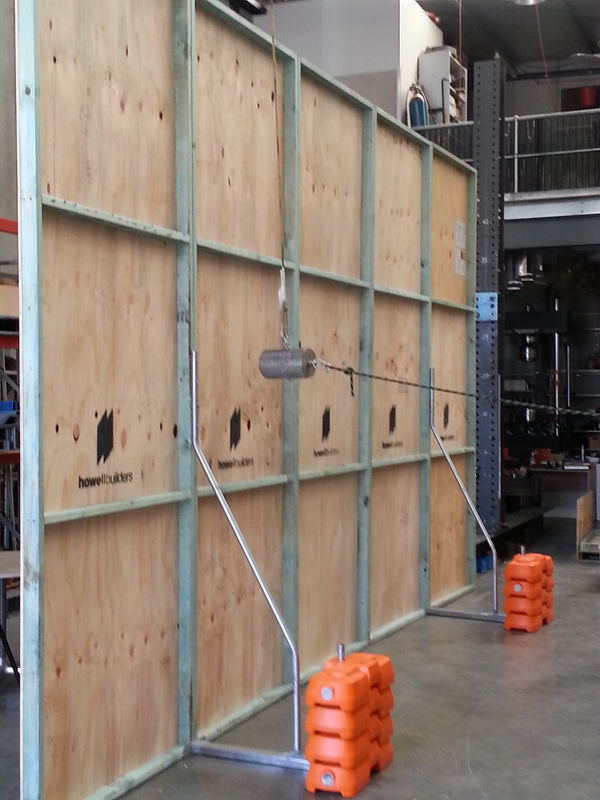 All hoarding panels are 1.2m wide and come in four different heights-1.2m, 2.4m, 3.0m & 3.6m. 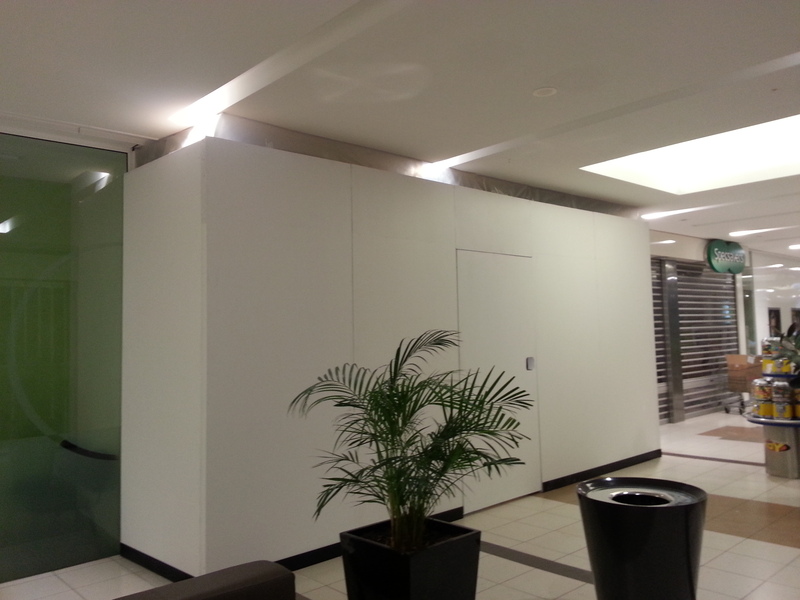 Alternatively we can custom make a hoarding system to suit your unique requirements. 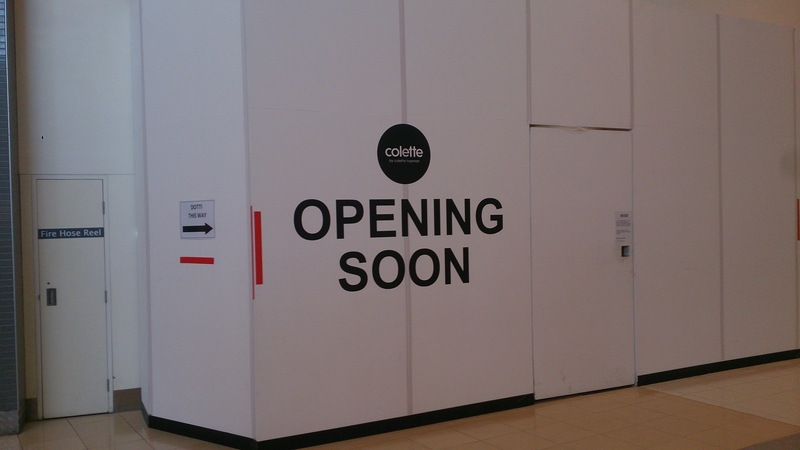 Our standard hoardings are charged at a square metre rate and custom hoardings are quoted on an individual basis. We pride ourselves on providing a hassle-free experience with a reliable and professional service. 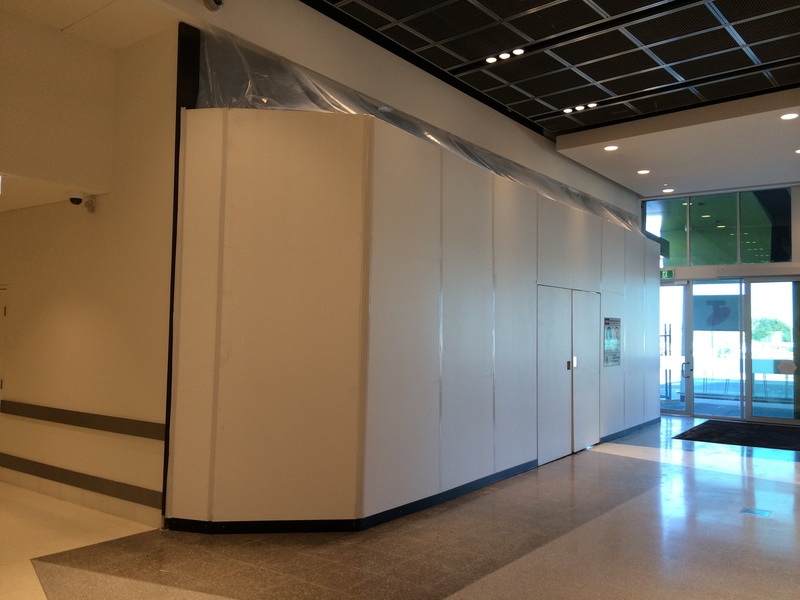 Hoardings allow you to take control of your worksite, closing off access for security and safety purposes. Check out our gallery here or contact us for a catalogue.